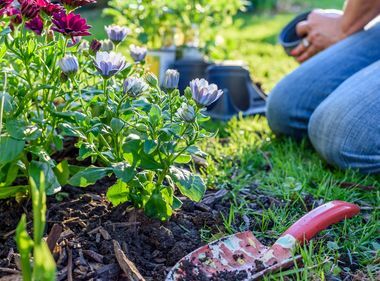 Live Christmas trees should be watered daily, kept at least three feet away from heat sources and never decorated with burning candles or damaged light strands. Flameless candles are the safest way to go when decorating for the holidays, especially since New Year’s Day, Christmas Day and New Year’s Eve are the top three days for candle fires. No lights strands with broken bulbs or worn cords should ever be placed on Christmas trees because of the fire and shock dangers they pose. Careful decisions and inspections are key to preventing electrical and fire accidents while maintaining Christmas trees, decorations and lights. Well said, Charlie Brown, but when it comes to families maintaining decorations safely during these holidays, what’s around the tree and on it matters even more. It could be the difference between accident-free holidays and an electrical mishap or fire. 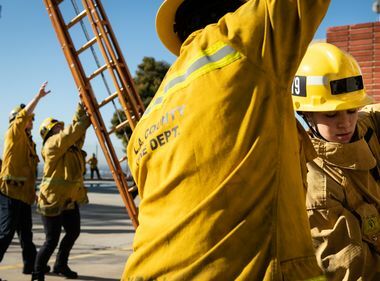 The U.S. average of about 200 home fires annually involving Christmas trees are proof of the hazards, and what’s around the tree is one of the biggest issues. 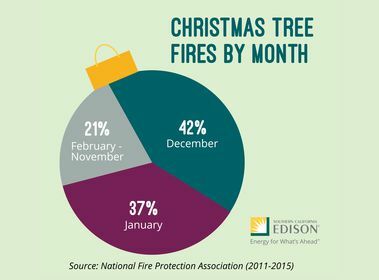 One-fourth (26 percent) of Christmas tree fires are ignited by heat sources like space heaters, candles and fireplaces being too close to the tree. 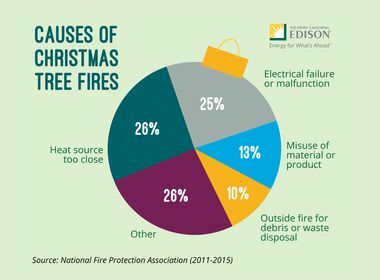 Electrical failures or malfunctions — damaged light strands or, in a very tragic 2015 fire that claimed six lives, a corroded electrical outlet — also cause one- fourth of Christmas tree fires. Even worse, Christmas tree fires are deadly, with fatalities five times more likely than in overall home fires. 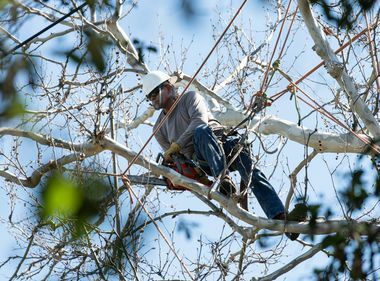 Tree fires that cause an annual average of six deaths, 16 injuries and $14.8 million in property damage can also be avoided by following manufacturer’s instructions on the number of light strands to connect and only using lights and cords certified by safety organizations like Underwriters Laboratories (UL). What’s more, LED lights should also be considered since they not only generate less heat, are safer and far more efficient, but also because they last up to 20 times longer than incandescent lights. When decorating outdoors, power lines should always be respected. 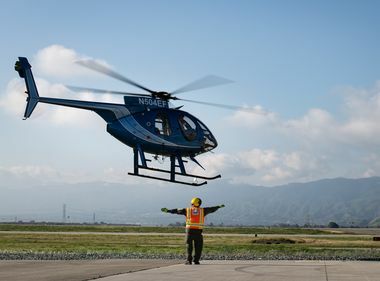 “Lights or decorations should never be installed on power lines or utility poles, and decorators should keep themselves and their equipment, such as ladders and poles, at least 10 feet away from power lines,” said Martinez. And those ladders should be wooden or fiberglass since metal ladders conduct electricity. Use flameless candles because of the fire hazard presented by burning candles — illustrated by New Year’s Day, Christmas Day and New Year’s Eve being the top three candle fire days. Use plastic zip cords when hanging lights instead of staples, tacks or nails. Do not place electrical cords in a position that pinches them, like in a window. Keep lights directly away from carpeting, drapes and other flammable materials. Always unplug decorative lights when leaving home or going to bed.